Taking your wedding photos in Toronto will have you posing for pictures in some of the city’s most unique wedding photo locations. Whether you’re looking to snap something romantic by the water or get chic and modern in the downtown core, one of these places will help capture memories that will last a lifetime. What can be more unique than having your First Look photos in the jungle of the city? 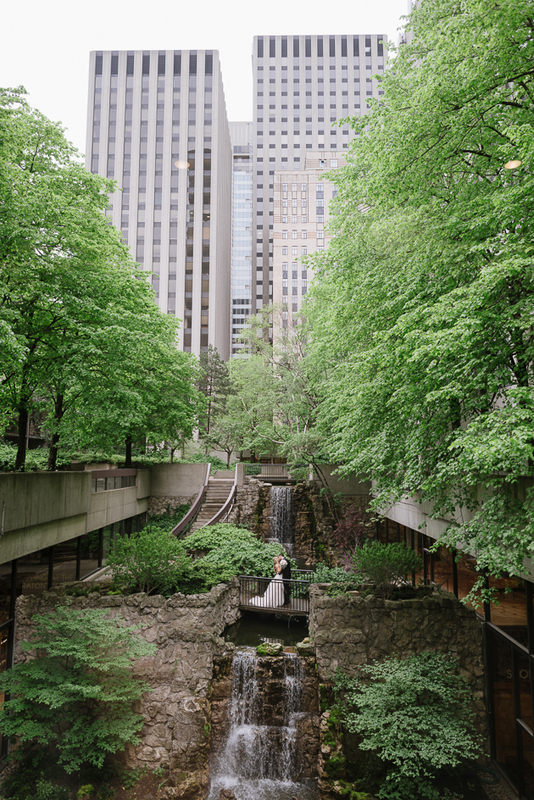 Surrounded by tall trees, this downtown core spot features a breathtaking waterfall right in the middle of the city! 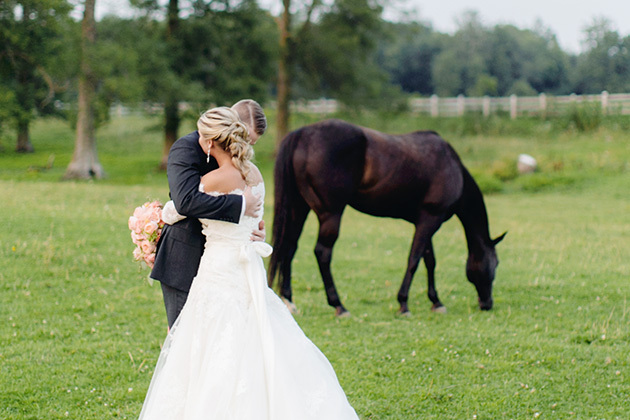 It’s perfect for wedding photos for two reasons. First, it’s hidden from all the hustle and bustle of the streets providing a welcome privacy. Second, it has a big WATERFALL! Should we say more? Features: City oasis, epic staircases and a cascading waterfall. Permit: It comes with a hotel booking. Ask us which one! This city view never gets old. It’s timeless, classic and looks absolutely stunning. Towering over the busy intersection of Bloor and Avenue Road, this spot is very popular with couples who are looking to add an extra touch of elegance to their wedding photos. Features: Unobstructed view of the CN Tower and an entire rooftop all to yourself. Permit: It comes with a hotel booking. 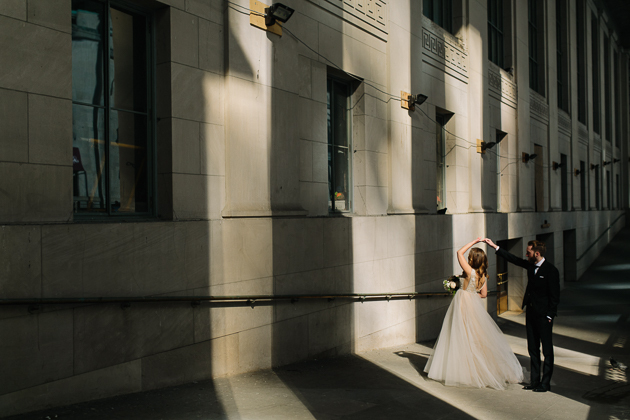 Financial District is definitely one of our favorite downtown wedding photo locations. It has interesting architectural angles, nice neutral colors and plenty of space to work with. Bonus point? It’s almost always shaded making it a perfect photo opportunity if it’s super sunny outside. Features: True downtown vibe, skyscrapers, and lovely marble walls to take pictures against. Permit: You can obtain a permit from a TD Tower office. 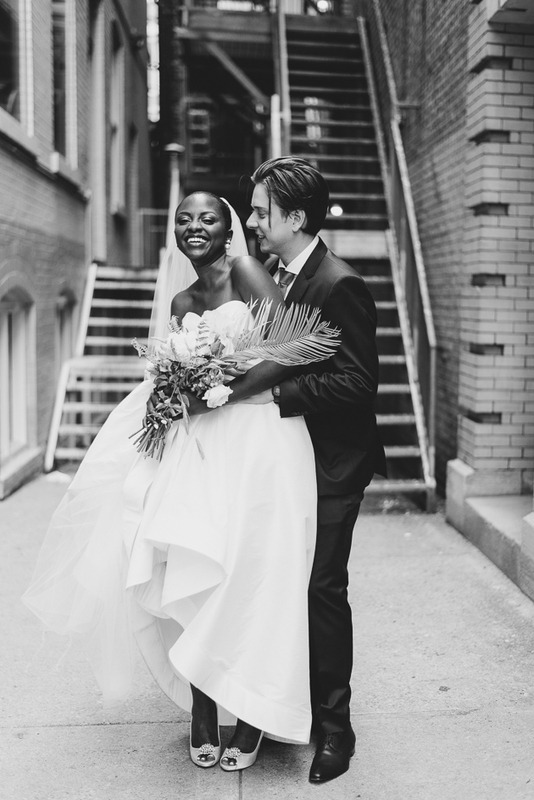 Toronto’s hippest neighborhood, Queen St West is a home to many trendy coffee shops, art galleries, and one of our couples’ favorite wedding photo locations! I prefer taking my bride and groom for a stroll around the neighborhood and snapping pictures along the way. 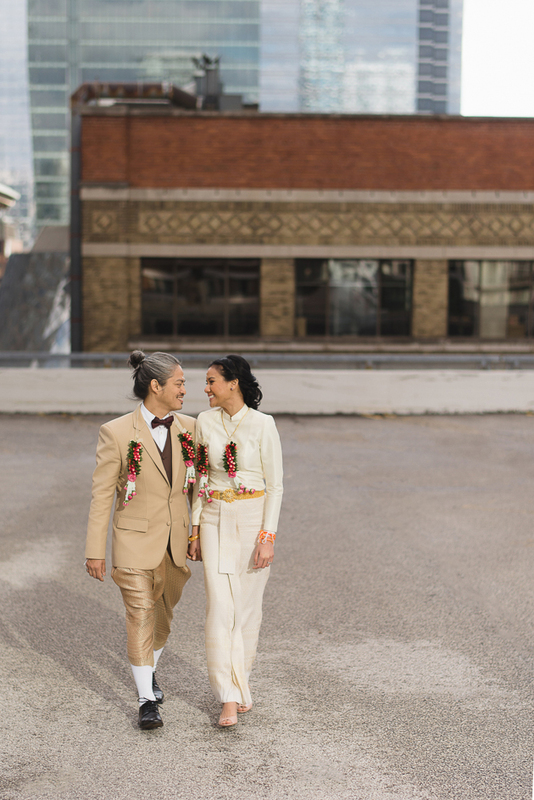 If modern, hip wedding photos are your thing, you should definitely consider Queen St West for your wedding photos. Features: Picturesque backdrops, hip atmosphere and lots of cool, photogenic alleyways. 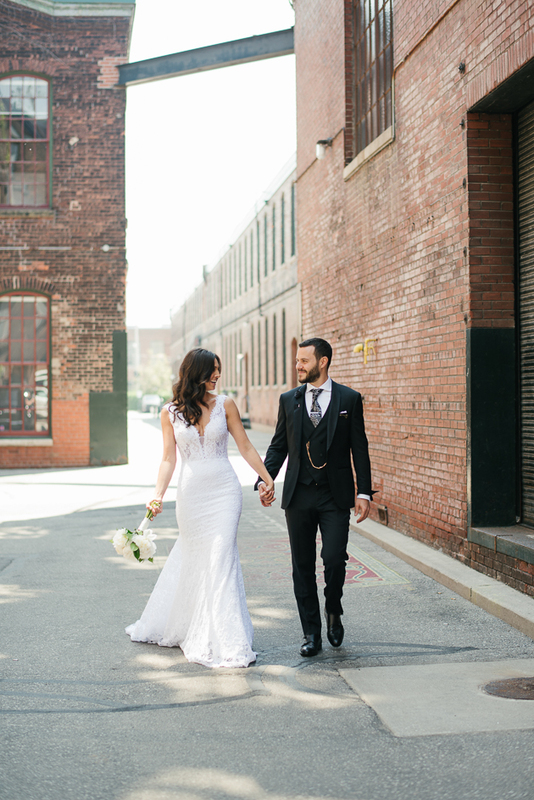 Liberty Village is the second Distillery District when it comes to wedding photo locations. If you’re looking for those charming brick wall buildings and an industrial vibe, Liberty Village is your option if Distillery District is too far from your venue. It’s charming, unique, not overdone and totally cool. Features: Brick walls, ivy-covered walls, industrial look and an old-world charm. 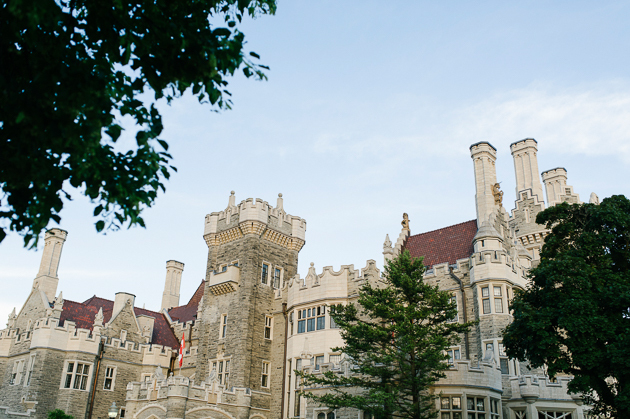 Permit: Yes, but is waived if you’re having your wedding at the Liberty Village venue. Personally, I love shooting in and around Fairmont Royal York. 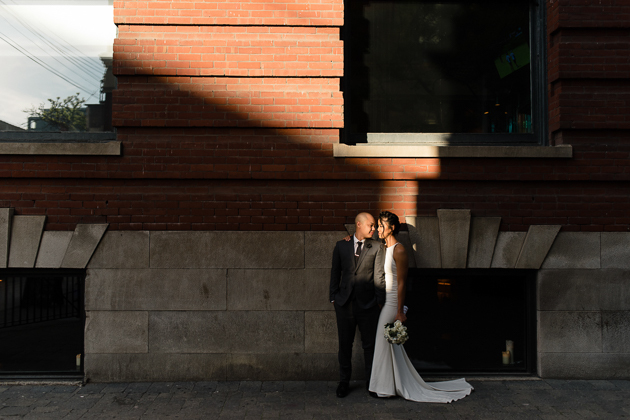 It’s busy, bustling with energy and you might bump into a thousand Blue Jays fans walking from a game but there are also quiet corners that provide for stunning wedding photo locations! Because the architecture around is so beautiful and elegant, you can end up taking a few absolutely unique and timeless wedding photographs. Features: Cool play of light and shadow, marble walls and photogenic architecture. Talk about uniqueness! Who would have thought parking lots are romantic? Well let me tell you, they actually are. Luckily, there are plenty of photogenic parking lots right in downtown Toronto. They are a perfect choice if you’re into hip and modern wedding photos that look chic and effortless. Features: Lots of space to work with, cool, geometric lines and a downtown vibe. With its sleek lines and cool, geometric shapes, the Aga Khan Museum is an absolute gem! 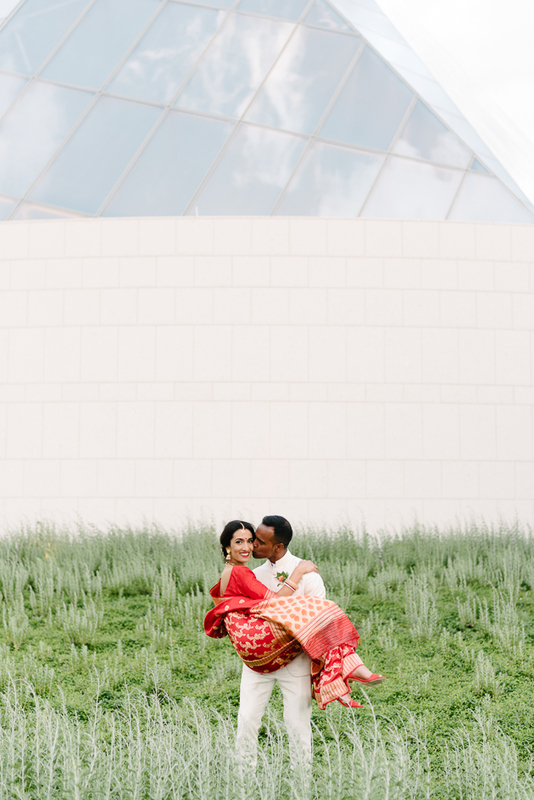 I’m a sucker for minimalism, so I always get excited if my couples choose the Aga Khan Museum as their wedding ceremony and/or reception venue. With all the negative space and sharp lines, there are plenty of opportunities to take edgy, elegant and editorial-style wedding photos that are absolutely unique. Features: Row of trees, a pond and lots of photogenic space to run around. Permit: Comes with a wedding venue rental. 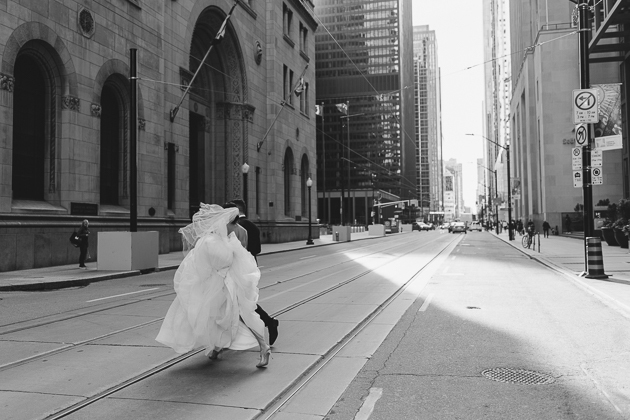 If downtown romance is your thing, consider King St West as your ultimate wedding photo location. It’s high-class and it’s cool. You can find many photogenic little alley ways if you know where to look. Features: Elegant, downtown architecture, chic atmosphere, and timeless vibe. Hello I would like to know what the location of the first picture titled ‘downtown core’ is, as I am interested in taking pictures for my wedding there! Thanks!